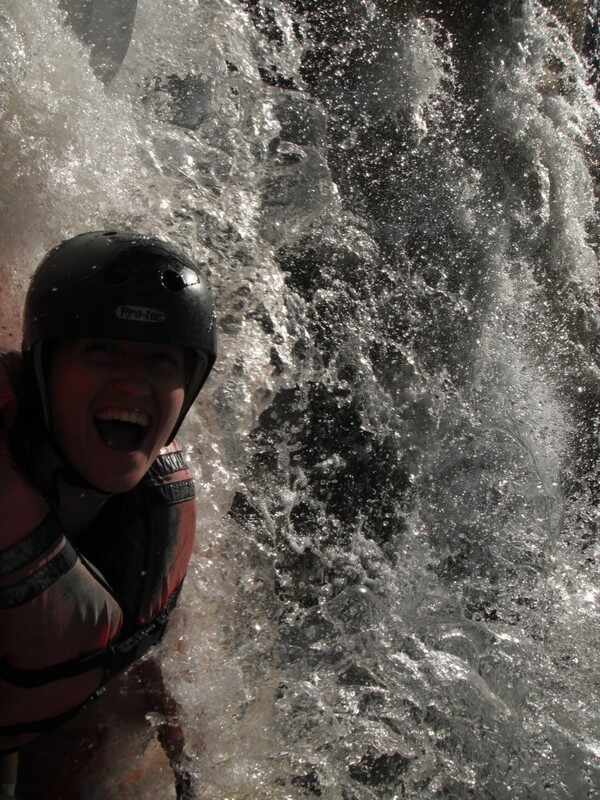 What do you get when you combine the extreme adventure sports of whitewater rafting, riverboarding, and skydiving? 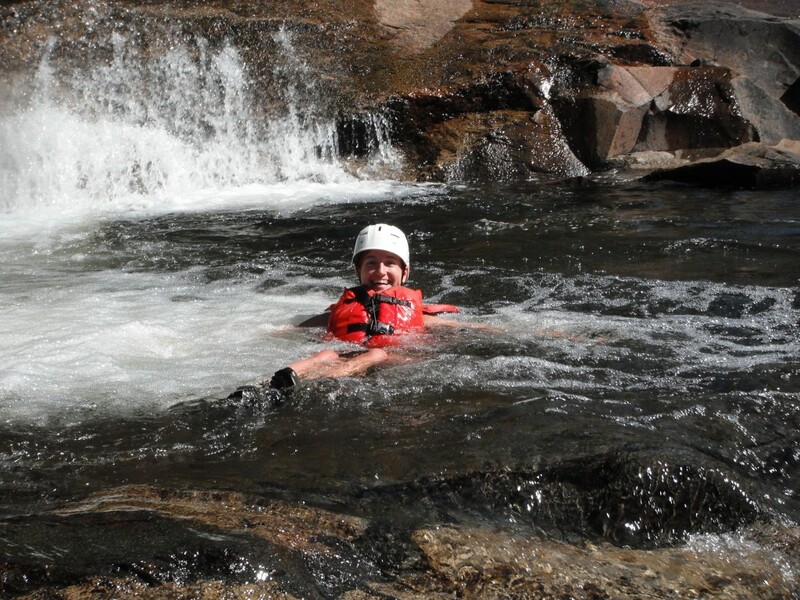 It’s called the ultimate adrenaline rush and Millinocket, Maine is the only place in North America where you can do all of these adventure sports in the same weekend. Gone are the days of relaxing on a river, taking in the scenery from a comfy airplane seat, or paddling quietly in a canoe. New trends in travel include adrenaline, extreme adventure sports, and pushing the limits. 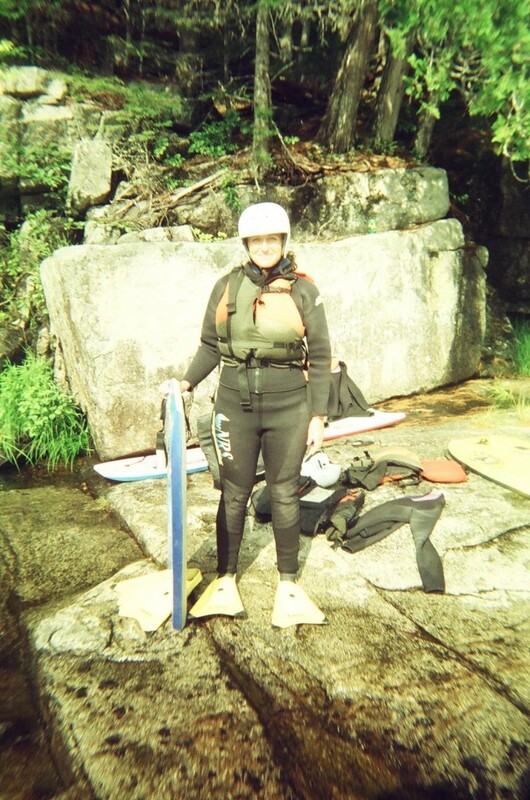 At the base of Mount Katahdin, Maine’s highest peak, I found Maine Whitewater River Surfing, Three Rivers Jump and Raft, and the experience of a lifetime! Rafting the Class V Penobscot River, riverboarding the whitewater rapids, and skydiving from 11,000 feet was the most insane, adrenaline-filled weekend of my life. 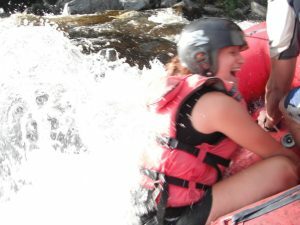 Whitewater rafting is an ultimate experience by anyone’s standards, but the tough Class V Penobscot River has chutes, drops, and large holes that challenge both guide and guest alike. In exciting rapids like Exterminator, Cribworks, and the Nesowdnehunk Falls, I quickly learned that I could easily be in over my head, but the guides are experts and carefully selected to make the ride both safe and exciting. It is 13 miles of pure adrenaline, yet I still found the time to look up and enjoy the breath-taking scenery that surrounded me. Before we even left the training waters, one guest paddled himself out of the raft, and we realized that rafting is not all about muscles or size. 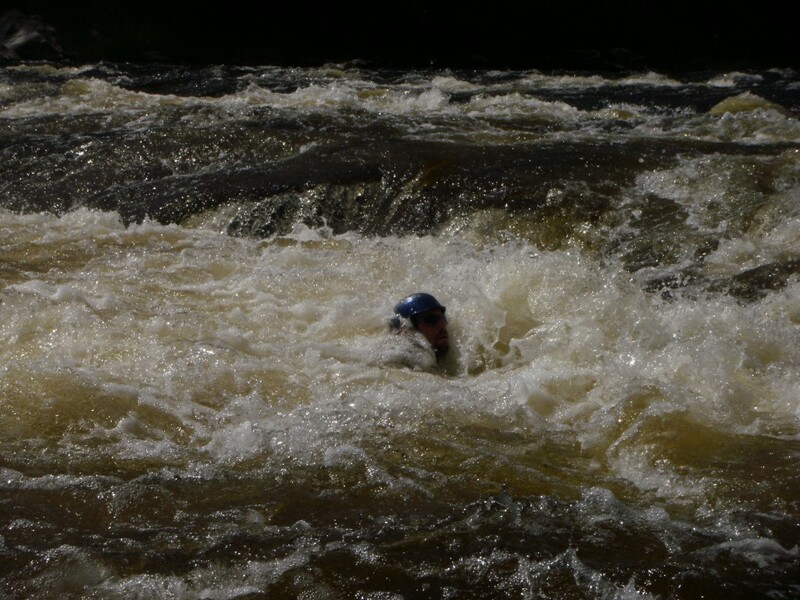 The white water was in my face and I was soaked to the bone, but I managed to stay in the raft. During the very little down time that the Penobscot has to offer, I took the opportunity to go for swim in the white waters. I left my reservations about fish and other marine life at home and splashed around like a child. After the liberating experience of controlling the waters, there was no time for fear of a few fish. The Penobscot River has long been a popular spot for whitewater rafting, but now Maine Whitewater River Surfing is kicking it up a notch and giving people a chance to run the rapids without the boat. It’s called riverboarding and Maine Whitewater River Surfing is one of the only outdoor adventure company in New England that does it. After a day of rafting, my arms were tired and my back was tight, but we set out to reach the shore of the Penobscot and get our first look at the rapids from a boarder’s perspective. There were wetsuits, life jackets, helmets, and even fins to go with the boards, but the view was still intimidating. I didn’t know what to expect. Seeing the water rushing and the white caps foaming looked dangerous; that’s why the trip started with a safety lesson. We learned about currents, and the all-important signals; including the panic signal of waving your arms frantically in the air, which seemed rather straightforward. With the help of guides, Karl and Mike, we finally began to tackle the whitewater. The first step was to swim across the river against a powerful current, which was not easy; it was more work than fun. The ride down the rapids was intense; as the water smashed against my face and I missed the surf, I became more and more comfortable with the frightening situation. However, there’s really nothing that can prepare you for a wall of whitewater rushing at your head, and while it’s intense; I did it over and over again. Riverboarding is relatively new in North America and I am now a member of an exclusive club. But jumping off of the raft and grabbing a board was nothing compared to the adventure that lay ahead. 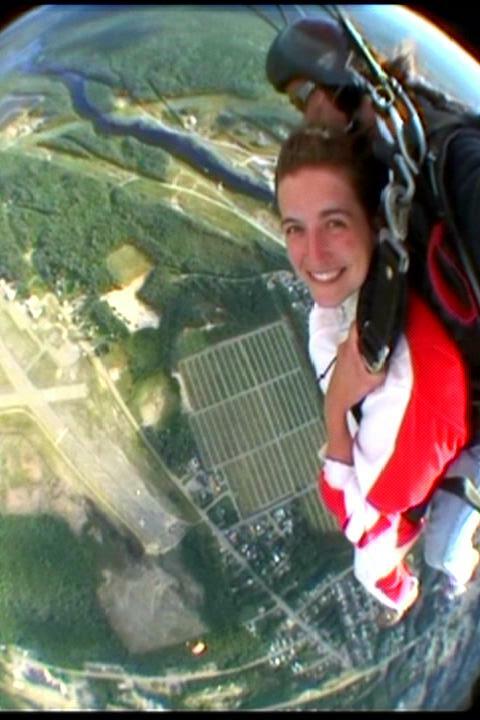 There is nothing natural about falling 11,000 feet through the sky, but I was going to give it a try with Skydive New England Jump and Raft. 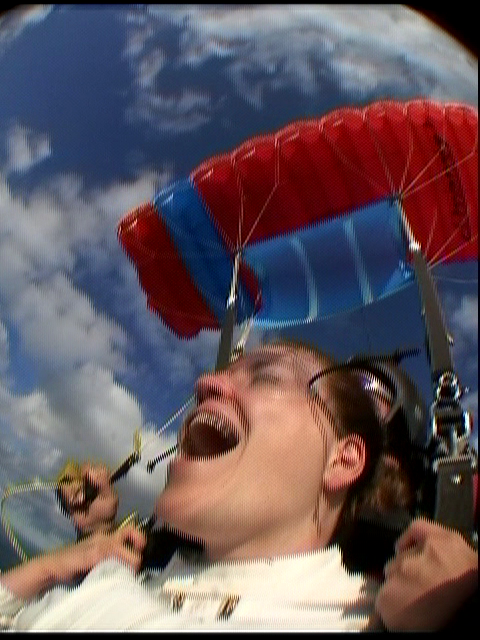 The pages upon pages of waivers that I had to sign before I jumped only proved skydiving is an extreme adventure sport. I had to sign my life away, watch a video that stressed the fact that I could die, and watch several other people take the plunge before I could jump myself, but the technicalities could never outweigh the natural high of putting yourself in the scariest situation imaginable and confronting that fear head on. My heart pounded in my chest as I waited for the 20 minute flight away from Millinocket airport. If I thought about it, I wouldn’t do it. I didn’t want to overanalyze the situation. I jumped at the idea of skydiving, but now that I was in the plane, my inhabitations were taking over. But the fear deep in my chest was part of the thrill. Thankfully, my instructor did most of the work. When it was time to leave the plane, he stood up and told me to step onto the wing. Mindlessly, like a robot, I just did whatever he told me. Breathing became more difficult as we both stood up on the wing and prepared to fall. My only regret was that I closed my eyes during the first 3 seconds of free-fall. It was the most in control I ever experienced in my life, which is completely ironic since I had very little control of anything. The free-fall lasted over a minute and we reached speeds of around 140 mph! The air felt cold against my hands but everything else was like a surreal dream and I was at peace. I found my home in the skies! Adventure sports and the pursuit of adrenaline fuelled activities has become an increasingly sought after diversion from the 9 to 5 monotony of everyday life. Many people are embracing what nature has to offer by doing things like skydiving, riverboarding, and whitewater rafting. In the past, many people opted for just one adventure sport, but nowadays most people not only take it to the skies or the river, but they combine the two. Due to the massive uptake of extreme sports, many companies are developing whole new concepts such as Jump and Raft. I can’t wait to see what happens next! Are you an adrenaline junkie? Does the idea of all of these adventure sports get you excited?